Well known to the DC, Maryland and Virginia area,Grossmueller’s Design Consultants has become synonymous with award winning custom designs. At the helm, owner and principal designer Cindy McClure brings over 20 years of interior design and remodeling experience, priding herself on customer satisfaction, reliability and attention to detail. These are the same principles the collective of designers and architects pride themselves in delivering to each and every client, regardless of size or scope. Our philosophy is to handle both complex and simple design projects with equal care, while providing the highest quality work at competitive rates. The portfolio at GDC includes homes, small businesses, and extravagant estates. With years of professional experience, the highly qualified design and architecture team can help guide you in accomplishing that dream of creating the complete design solution. The team of designers and architects at Grossmueller’s Design Consultants use a collaborative style approach, to develop design concepts that reflect the individual personalities of each client. Whether it’s consulting on paint colors, maximizing your existing floor plan, or building a wrap-around deck, we can transform your space, leaving it sophisticated and timeless. At Grossmueller’s Design Consultants, we help the homeowner to analyze their current needs while keeping an eye on what the future might hold. From the first initial consultation, we take into consideration the overall livability and functionality of the spaces in your home to include current furnishings and family activities. If you are looking to design your dream kitchen and bath, give us a call today at (202) 798-0673 or click the "Contact Me" button to send us a message. We look forward to working with you! If you don't see your town or neighborhood in our Areas Served section, please still call us to discuss your project. We'd love to see if we can help. Architect Bruce Wentworth, AIA established Wentworth, Inc. in 2004. 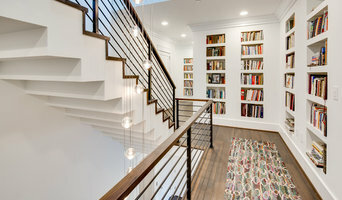 His design/build residential remodeling company, Wentworth, is a unique collaboration of architects, designers and craftsman who integrate architecture, interiors and construction. The Wentworth process enables our in-house design team to find the best design solutions for our clients, and our in-house construction crew to build to the highest level of craftsmanship. As an architect-led organization - design and craftsmanship - are held to a higher priority seldom found in other residential design/build firms. Mr. Wentworth commenced his architectural practice in 1986, working from his home, with a focus on residential remodeling in the Capitol Hill historic district of Washington, DC. His pursuit of architectural work led him to become the architect of choice for many years providing design services to remodel and expand hundreds of the local historic rowhouses. By the early 1990s Mr. Wentworth joined with a local contractor/business partner and together they implemented the architect-led design/build concept. After more than a decade of partnership Mr. Wentworth set off on his own to found Wentworth, Inc. Mr. Wentworth is a licensed architect and a licensed home improvement contractor in the District of Columbia, Maryland and Virginia. He holds a Class A license in Virginia. Prior to starting his first company in 1986 he worked in the field of high-end commercial office interiors where he gathered knowledge of space planning, materials, and finishes which translated well with his residential remodeling work. Wentworth believes that livability and beauty are essential to every design endeavor. This belief has been instrumental in some of the Washington, DC metro area’s most recognized home renovations. 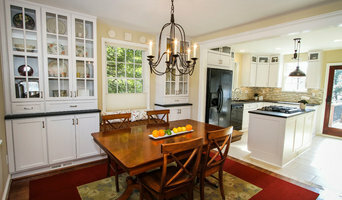 We are a custom remodeling firm located in the Washington Metropolitan area. We've been in business since 1997 building premier projects that generally please our clients. CHECA Architects, PC, has over 20 years of experience in partnering with clients to produce beautiful, conscious designs. The CHECA approach is noted for its deep sensitivity to the land as well as its artful interpretation of sustainable design and materials. As a full service firm, CHECA Architects attends to every detail – from lighting to landscaping – in creating exquisitely crafted, modern, ecologically sensitive, light-filled spaces and homes that celebrate the natural surroundings and lift the human spirit. Call us today to get started! When peace-of-mind and flawless execution are important, Alexander Group is the right choice. For more than 30 years, we've been helping Northern Virginia, Metro Washington DC and Honolulu, Hawaii area homeowners fall in love with their space again through custom remodeling projects. The Alexander Group is a full service design, build and renovation firm, specializing in custom architectural design & craftsmanship for residential & light commercial building, remodeling and renovation. And as leaders in "Green Building", integrating High Performance Energy Efficient Smart Design & Building techniques are a key focus to making your dream space energy efficient, healthy, comfortable, durable, and eco-friendly for years to come. The Alexander Group uniquely understands that every homeowner’s needs are as varied and custom as the dwellings in which they reside. And this understanding is a critical component of our proven remodeling process where we listen to our clients, ask the right questions and collaborate to develop a custom solution. But don't take our word for it - visit our website to hear and see why families continue to choose The Alexander Group. Sherry E. Nesbit, Architect is a sole proprietorship, specializing in custom residential design; new construction and remodeling. She provides a complete range of architectural services from developing design and preparing construction documents, through assistance with bidding, negotiation, as well as construction visits and obtaining permits. She has over twenty years’ experience, with a special expertise in renovations or additions to Historic Homes. Either as single residences or turning them into two residences. Licensed in all jurisdictions in the Washington metropolitan area, Sherry works in a one-to one relationship with Owners and helps guide them through the complexities of the remodeling process. She uses Computer Aided Design (CAD) to let Owners see a three -dimensional model of how the project will look like. Taking the guesswork out of the design process. Please contact us today, to set up a complementary visit to discuss your project needs and goals, schedule and budget. Montgomery County's Architect & Design Firm | Best of Houzz 2018! Imagine the fun and convenience of having everything you need for the decor of your home brought to you!! This includes furniture, rugs and accessories for the home. We will then help you pull everything together. The best part? you only pay for your product, all of our design services are free. We also specialize in window treatments/draperies and can bring any window to "life". Call, email or click the "Contact Us" button, and we can arrange a FREE, no obligation, design consultation. Also, stop by our Design Center in Kensington, MD located in antique row to meet with one of our decorators, or to check out the latest in home decor! 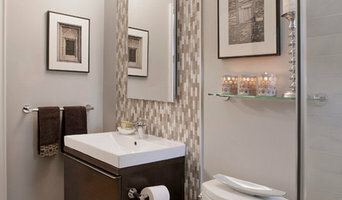 D.C. Area Award Winning Full Service Architect Firm | Best of Houzz! 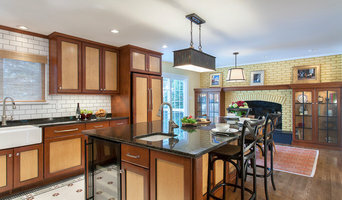 Bethesda/Washington DC based remodeler and home builder since 1994. Your complete design/build source for interior, exterior, kitchen and bath remodels, additions and new homes. Maryland Residential Design & Construction, LLC is a full service design & build firm with 30 years experience in custom residential additions & new home construction. We design and create computer generated, permit-ready plans for all of our projects, in house to ensure that projects run smoother, stay on schedule & budget, and most importantly to meet and exceed the highest industry standards. All of our plans, whether it be a large custom home or a small bath remodel, are included, free of charge, when building with our company. Historical Restoration: Historic restoration preserves the culture, character, and heritage of not only the actual structure, but the community within which it lies. We combine contemporary building science & modern conveniences with the architectural character of the past for a home that is not only beautiful but comfortable as well. River Run Cabinetry: We are a proud distributor and installer of high quality River Run Cabinetry. Joe will design a kitchen to your needs, style, and budget. New City is an all-inclusive design-build firm dedicated to delivering both a beautiful, new home and an incredibly-smooth experience. Our team of seasoned professionals handles all the complex demands of your custom, residential construction, so you can relax and enjoy the outcome. How do we make it happen? We use a clearly-defined process; we continuously offer our clients direct, honest advice; and we rely on the expertise and integrity of our talented pros. Our standard is your total satisfaction. If we're the kind of partner you want to work with for your addition, custom home or remodeling project, let's talk.